NC.gov serves 9.9 million people in North Carolina, with 23% younger than 18 and 14% older than 65. As a wide range of users attempted to navigate NC.gov, the link-heavy interface and discrepancies in navigation across different agencies frustrated visitors. This often led visitors to call the agency office directly instead of finding it online, wasting the time of state employees and taxpayers. To make NC.gov usable, Atlantic BT stepped in to create an intuitive and unified experience for all North Carolina users. NC.gov faced a crisis of usability. This homepage for NC government relied on a long list of links to various agency sites, making it hard for visitors to find what they needed. NC.gov also lacked a cohesive digital experience. Because each agency managed its site in silos, users had to follow a new navigation whenever they opened a new agency page. 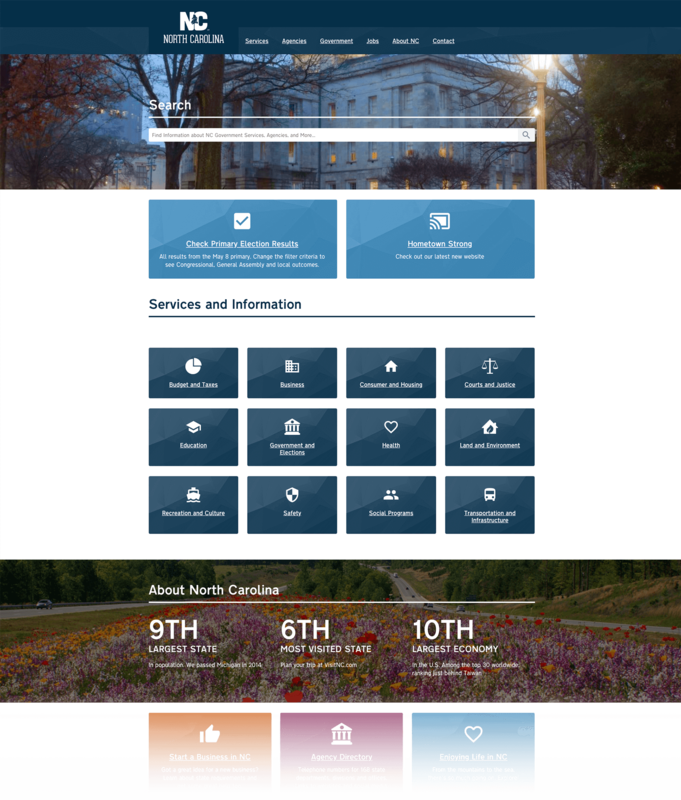 Atlantic BT reimagined NC.gov using a user-centric content governance strategy and digital style guide to unify the look and feel of every agency page. 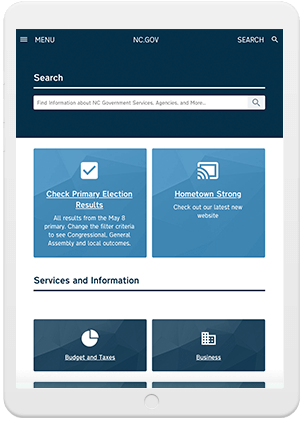 The new NC.gov used a streamlined, mobile-friendly sitemap that made it simple to find essential information across devices. 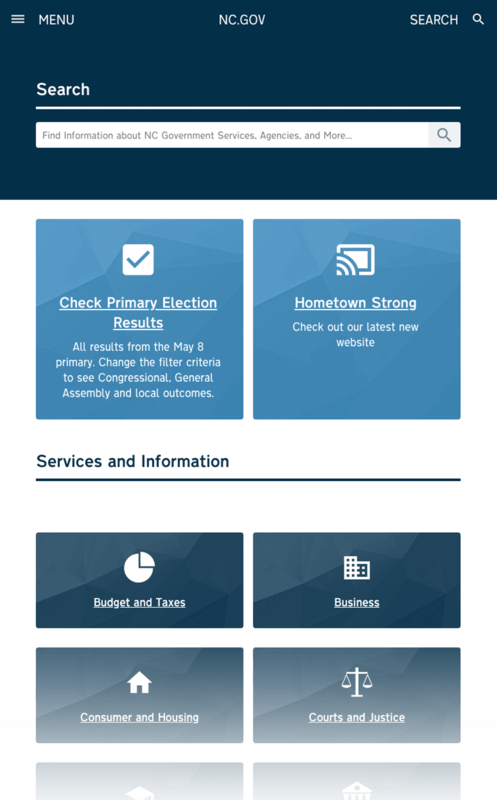 We created a streamlined, digital face for NC.gov, but also drew on persona research to create a flexible design system that would adapt to each agency’s needs. 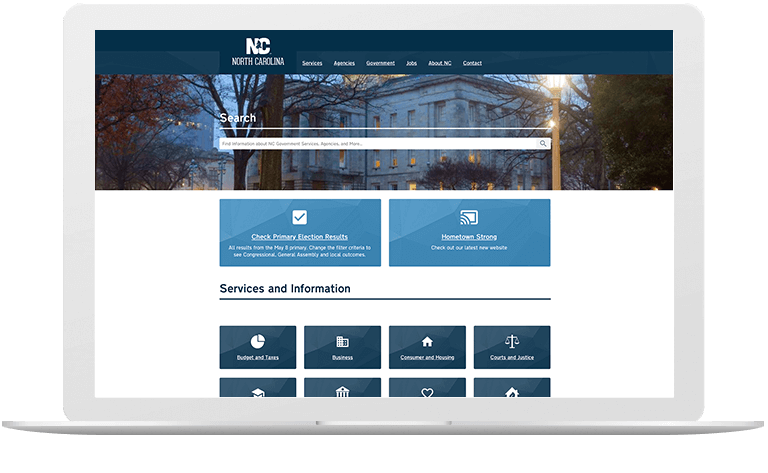 With a streamlined navigation, mobile-friendly sitemap, and a system for publishing new content; NC.gov achieved a user-friendly structure. We made a unified navigation of the website using a new Drupal framework which resolved immediate navigation pain points. We improved the overall user experience by testing and creating a mobile friendly sitemap. With their new Drupal-based site, agency representatives are now able to create their own content to drive more organic traffic and improve page views per session exponentially. 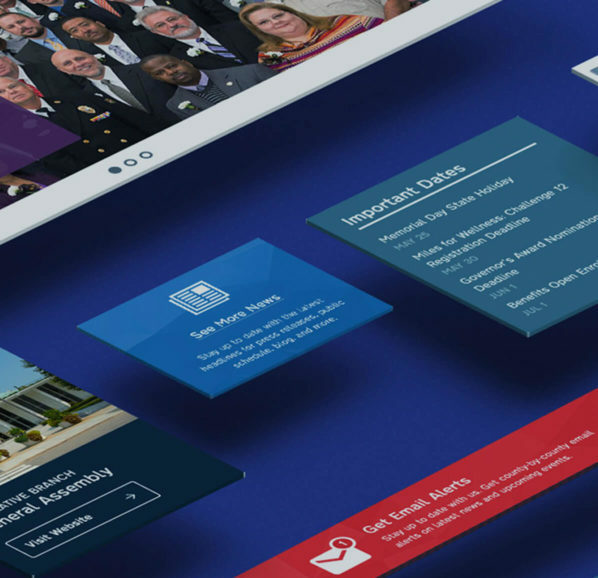 Ready for modern web technology, enhanced security, and a user-friendly design for citizens? We want to give you exactly that. Contact us to get started.